Follow us for the latest insurance tax news, information and rule changes. 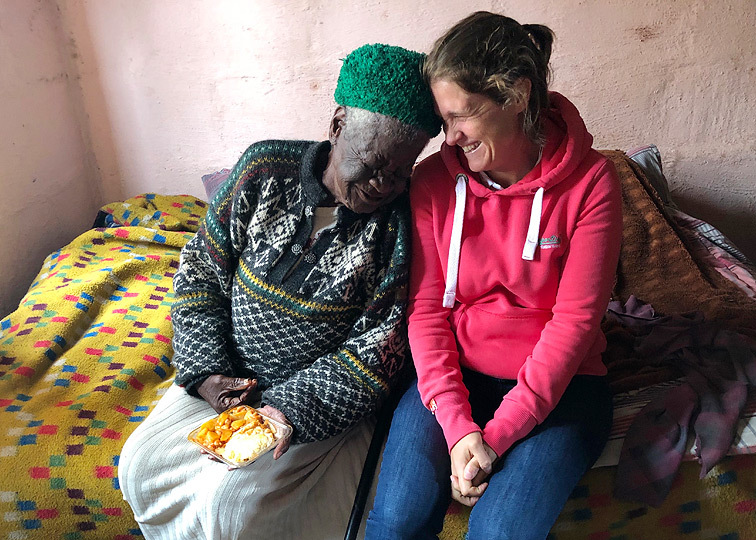 Impendulo’s Susannah James has recently completed a community healthcare volunteering project near Gweru, Zimbabwe. 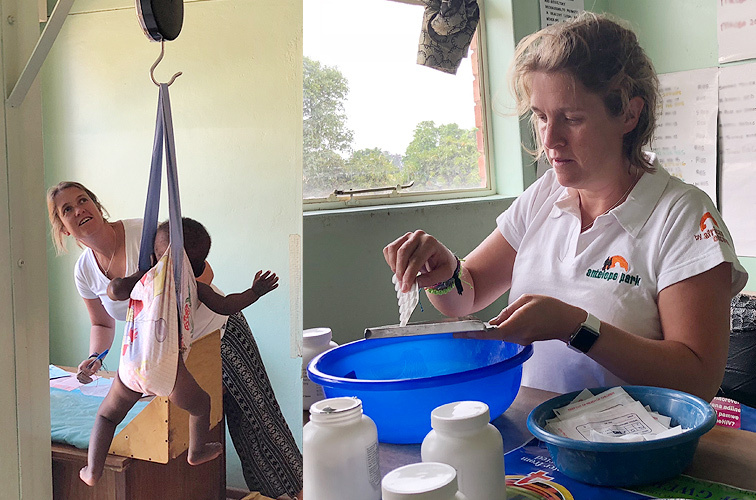 In an effort to provide some much needed assistance to the country’s understaffed healthcare system, Susannah helped out at the village Poly Clinic with general medical duties such as weighing babies and reading body temperatures and blood pressure. Away from the clinic, Susannah also helped to build school buildings and supported education drives such as HIV/AIDS awareness. First day in the clinic… lots of blood pressure and temperature taking and weighing and pill counting! They give iron to all the pregnant mums and HIV pills to the HIV positive patients. Also did a home visit to a lovely elderly lady in the community who lives on her own. She’s unable to cook or work so they take her food and make sure she’s doing okay. She didn’t speak any English but just smiled at me and kept leaning in and saying ‘Thank you’ in Shona while eating her food. Last night I was really lucky to do a nightshift at the clinic (with another volunteer who is a nurse) and helped to bring a gorgeous little girl into the world. 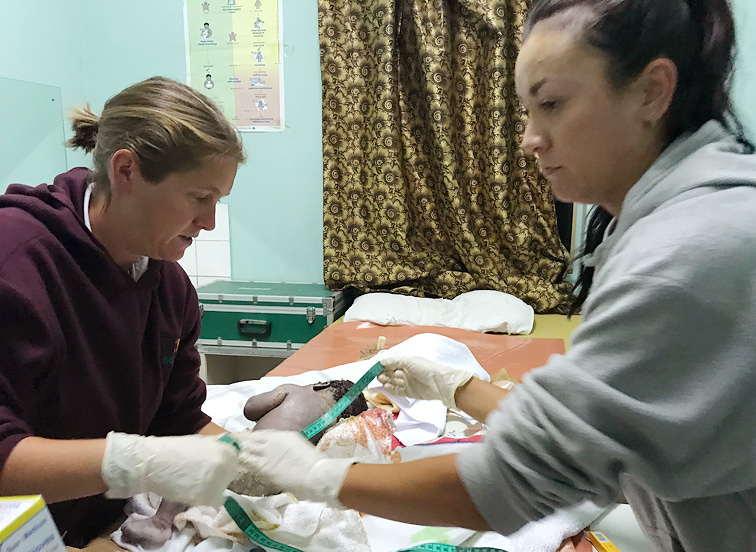 We got to weigh and measure the baby and then held her until the mum was stitched (with no anaesthetic!) and hardly cried out. She was amazing. It was a restless night as we helped her to feed and settle the baby, but when we left at 5am they were both doing well. Busy few days in the local community. I spent a day at a rural school, about an hour from where we are staying, and where children walk up to 12 km a day to get there. 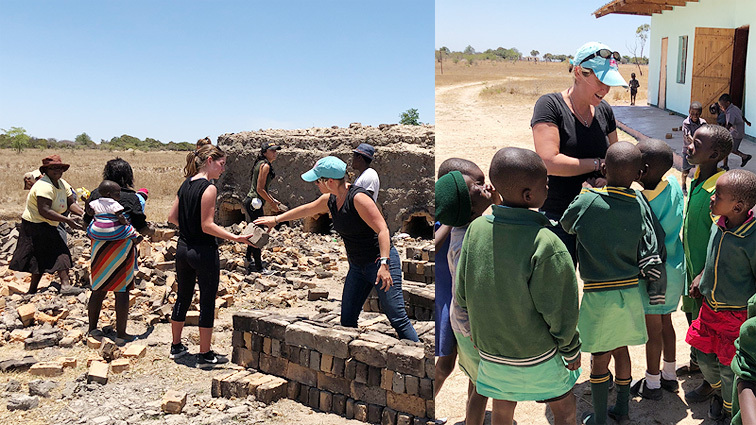 They used to use an old abandoned farm house for lessons, but the project has now helped to build one new classroom, a second classroom is nearly finished and we helped move the bricks, wood and sand for starting the third. They also rebuilt the toilets and kitchens. It’s so great to see the difference they are making to the community! Today we visited the family of a grandmother and her four grandchildren whose parents had all died from AIDS. She has no job and struggles to feed them so we bought some food and cooked for them. 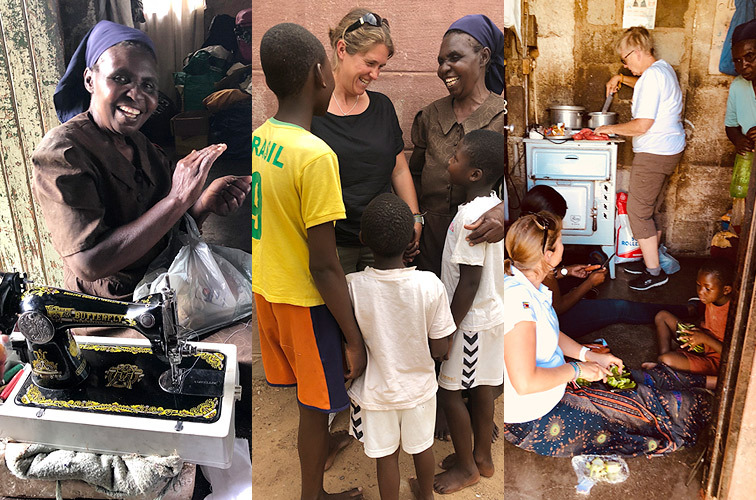 Some previous volunteers had given her a sewing machine and she now makes things to sell to buy food and clothes for the kids. They were a lovely family and the children were so engaged and polite when we were there. We took some of her bits to sell to other volunteers so we could buy her more thread and shoe polish and machine oil. 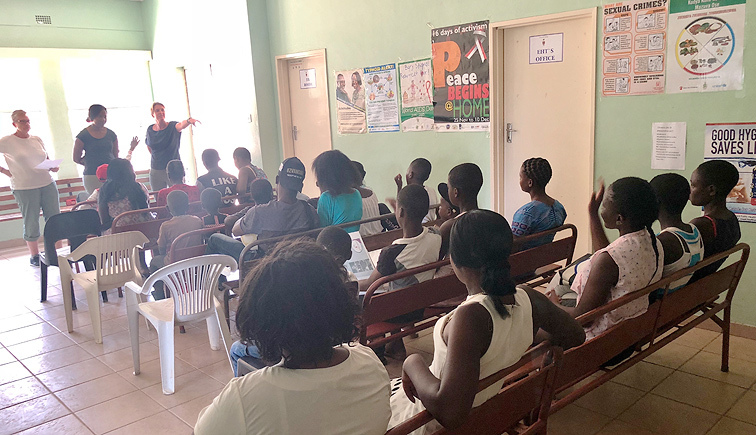 I also went to help and teach at the HIV counselling session for children in the village. Not being a fan of presenting this was way out of my comfort zone but the kids were lovely and seemed to understand the topics! It was such a rewarding experience and a great project to work with!